Raghavan is the second port of Salina, after that of Santa Marina on the East Coast. The port is served by regular express ferries and hydrofoils to to from Lipari, Messina, Alicudi, Filicudi, Milazzo, Palermo, Panarea, Stromboli and Vulcano. The story of Rinella dates back to 5000 BC. Today the port is a busy tourist center that is populated during the summer months and features pastel coloured houses jostle around the shore. 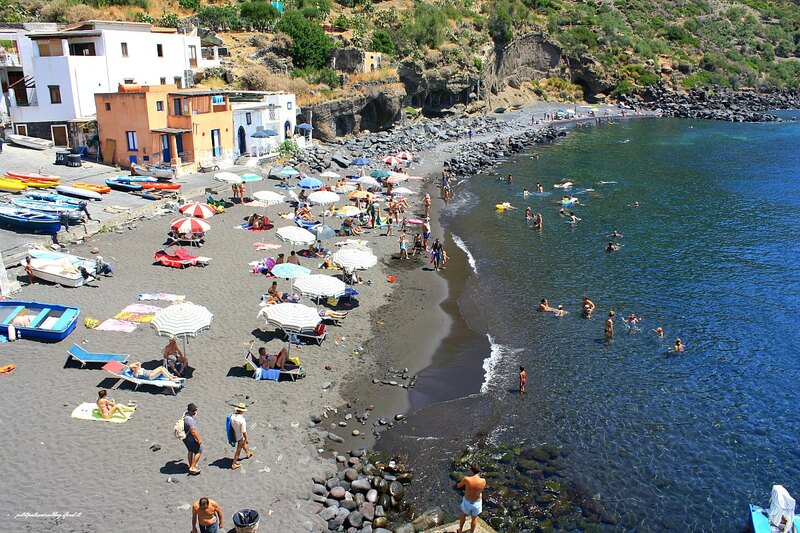 Unlike most of the island's cobblestone beaches, Rinella offers sandy beaches, just a short distance from the Centre. Do you want to travel with your family to get to Rinella? Do you like adventure and freedom and you want to reach the destination Rinella with your moto ?